We supply tissue paper wholesale in a variety of colours; white, coloured, metallic and patterned, all available for bulk purchase at warehouse prices.Our tissue paper is acid free and bleed resistant ensuring it will not damage or tarnish delicate items when used as a wrap or as part of the product itself. With a large range of versatile colours; 4 grades of white tissue, 21 coloured tissues such as pale pink, deep purple, black, cerise and pale blue tissue as well as 2 luxury metallic tissues available, you’ll find the tissue paper to fit your needs. Recyclable and from sustainable sources. 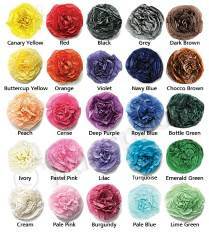 Where is best to buy bulk tissue paper? Where can I buy tissue paper? 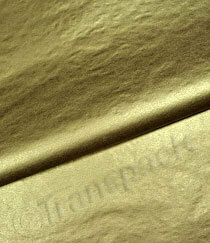 Transpack is the place to go for all your bulk and custom tissue paper needs. Buy in bulk at wholesale prices, choose from all the colours of the rainbow or go for one of our seasonal ranges, such as our Christmas tissue paper. 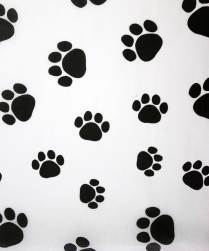 What’s more, we can print a bespoke tissue paper unique to your business and branding needs. Contact our packaging experts if you have any questions as we are always happy to help. How do I make tissue paper decorations? One of the most popular decorations right now are tissue paper pom-poms, which are incredibly easy to make. You’ll need some floral wire, which is available from most craft shops, and a stack of tissue paper. Get eight sheets of tissue paper and fold them accordion-style, making folds of around five centimetres. Once it’s all folded, grab a piece of floral wire and place this in the middle of the folded accordion, twisting to hold it in place and then cutting off any excess wire. 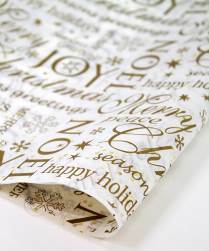 Cut off the ends of your folded tissue paper to give either a rounded or pointed edging. 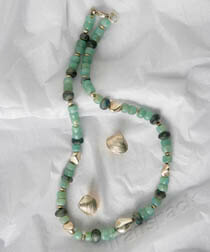 Now, separate all the layers, pulling them one at a time away from the centre – this will give you your pom-pom shape. Finally, tie some ribbon around the wire to hang your pom-pom. This easy decoration is really simple and cheap to make, but brightens any decorated space and can be ideal for business, wedding, corporate, and hobby needs.